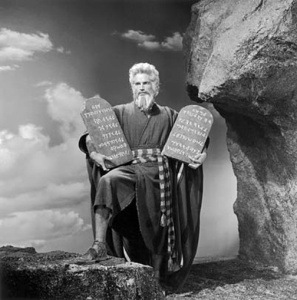 The Ten Commandments for Cinephiles. Some wise words for anyone considering writing about film! Every person who writes for a movie site can agree on one thing. We all have a undying love for films. We may not all agree on every one, but we all share a common love and joy of watching them. It’s doesn’t matter if you prefer the art-house over the multiplex. Action over drama. As long as you are honest about what you write. You are considered to be a cinephiles in my book. No I don’t have an actual book. It’s just a figure of speech, but I do have ten guidelines that I follow. Previous postA Triple Shot of Mystery Blogger Awards.